Education for international students takes a role to reflect what society wants (Cage, N., 2008). Kanno (2006) analyzes four different kinds of educational institutions focusing on bilingual education in Japan. Kanno assumes that school vision and its education construct identity of students through bringing the idea of imagined communities. The idea of ‘imagined communities’ here takes the role that learners of second language have expectations or images of the communities where they will participate later. Kanno reveals how visions of different four bilingual schools have decided their students’ paths after graduation. The schools concentrating on Japanese obviously follow what Japanese society wants and the other focuses on other languages. These results, at least for me, make the idea that the education supports immigrant students to realize their imagined communities with proper curricula for the imagined communities of the students. Thus, bilingual students are forced to be suitable to meet what society requires. If you see the author’s work, schools makes their program become more adaptable for Japanese society to embrace their students. One school only operates its curriculum in English, but that school is actually based on western society, not Japanese base. Students attending that school mostly go back to western countries for their education and job. In that sense, students who imagine their future in Japan tend to have greater Japanese proficiency than in their original language, and others who expect their lives in their passport countries or other countries without Japan have a tendency to learn curricula with their mother tongue. This shows how international students and schools shape themselves to fit the society’s requirements, the imagined communities. Namely, imagined communities reflecting what society asks have influence to build students’ identification for their future. The Korean case is more obvious to show that what society needs has serious influence on school programs, even governmental policies. The increasing number of multicultural children from international marriages, mostly between Korean and Southeast Asians, and the inflow of international students are dramatically increasing in Korea. There are several movements to make multicultural schools, but those schools are not for multicultural students and immigrant students to be comfortable with their multicultural background when they grow up in Korea (Lee, B., n.d). It is for them to have Korean proficiency and Korean value through education to reflect what Korean society wants. For example, students of Chosun ethnicity that come from China have tried to learn Korean to have Korean nationality and work in Korean companies. It is because they have to prepare for their imagined community that is mostly Korean society. Multicultural schools that those student attend, thus, make their students become fluent in Korean. Therefore those schools focus on how to make bilingual students suitable for Korean society. Imagined communities happen in different way by status of students. As in the previous cases, relatively poor students attend the multicultural schools to assimilate into Korean society, but the rich attend international schools that reflect the high level that Korean society requires. This means that richer immigrant students attend higher level international schools. For example, Korea has fewer bilingual schools, but the most famous school for bilingual students is the Seoul international School. It is fully operated in English rather than Korean. It is because of the tendency that Korean society requires students to have English proficiency even more than Korean. Although it was built for international students and some Korean returnees, there are also many Koreans attending the school who are born in Korea. The reason is that having better English proficiency certainly grants high-position jobs in Korean society. Also, Korean society evaluates that English is worth worth than Korean forces Koreans to enter those sorts of schools even through illegal ways (Lee, H., 2013). So, Korean society gives international students different imagined communities. In short, schools make their curricula for immigrant students to assimilate into the imagined communities that the students dream. The curricula have changed by following what society needs and the situation of students. Namely, education plays a role that makes immigrant students assimilate to be suitable in certain positions in which the positions meet the situation of students rightly. Kanno, Y. Imagined Communities, School Visions, and the Education of Bilingual Students in Japan. Journal of Language, Identity & Education, 2, 285-300. Lee, H. (2013, April 10). 168 students did Illegal admission to foreign school [외국인학교 부정입학 163명 “출교”… 하비에르국제학교 절반가량 ‘무자격’]. The Kyunghyang. Learning in Hong Kong—in English or Cantonese? I am writing a paper on education system in Hong Kong and Chinese immigrants. I want to know how exclusive (or not inclusive enough) the education system is, especially the medium of instruction, i.e., Cantonese and English. Here, I recognize as Chinese immigrants those who migrated from China, in particular, those who migrated after 1997. Hong Kong used to be under British rule, thus the official language of the public sector and government departments was English, instead of Cantonese or Chinese. The foreign language was highly engaged in the general public’s life. The language environment gives rise to two problematic issues. The first is that parents debate hard on whether they should send their children to EMI (English Medium of Instruction) or CMI (Chinese Medium of Instruction – here I mean Cantonese). Back in the days of British rule, being accepted to EMI schools was a prerequisite for “the winning group”. The reasons behind parental preference, if not the child’s own choice in most of the cases, are multiple. However, the most powerful pull and push factor is that English was the official language in Hong Kong and outside the border. Positions in the government (still running the pension system) and foreign invested companies (highly paid jobs) were the easiest way to achieve promising career prospect. To get those keen competitive positions, the least requirement was high English proficiency. If you were able to master the language, you enjoyed a higher chance of promotion, and being appointed as an overseas manager. Similar to the Chinese boom in many countries nowadays, English is a very preferable foreign language in Hong Kong. Not to mention how attractive going abroad is, most students holding a foreign degree (the United States and the United Kingdom are the top two choices for studying abroad) get a very sound job when they return. Some top government officials can speak very fluent English, Anson Chan was one of the well known ones. Therefore, we can see how people look towards English speakers (even if they are Asian rooted). People believe learning English means knowing how to achieve a successful life. In Hong Kong, Cantonese makes you normal, while English helps you to stand out of the crowd, to become elite. We can see a discrimination created by government in silence, because of how the system operates, how discrimination is rooted and generated and confirmed by parents and then among students. EMI schools are desirable. It is true that most of the top ranking secondary schools are EMIs. The top university in Hong Kong puts more emphasis on scores on English subjects rather than Chinese subjects during their admission and interview process. As for Chinese immigrants, most secondary schools do not provide support to them when they first come to Hong Kong. As I mentioned above, English is viewed as more important when compared with Chinese. Chinese immigrants in classroom therefore become the inferior group, and in term of attention from teachers, naturally less than their classmates. It might also because of teachers’ poor level of Chinese. It is a fact that Chinese has never been a must to learn. The situation has changed gradually in recent years, I believe. I am still doing research on the subject, but it seems the first issue takes up the main part. Information now in my hands contributes, more useful for building up the first issue. The Japanese version of multiculturalism is anti-multiculturalism. Every action or support, provided by the government and people of Japan is not for cultural minorities but for the social and cultural majorities. When we read the literature it provides us with skepticism. I believe that the job of the literature is not to tell us whether it is right or wrong, but it needs to urge readers to think critically before they decide what is right or wrong. There is a need to accept people for who they are, rather than trying making them into who we are. We all are different but isn’t that a good thing. Japan is the last developed country to move towards minorities’ rights. A tradition which was important to Ainu’s ancestors has become to modern Ainu, a matter of cultural survival. It is hard to find someone in the current generation who speaks Ainu fluently, and it is because of the oppression by the Japanese government from the past century. 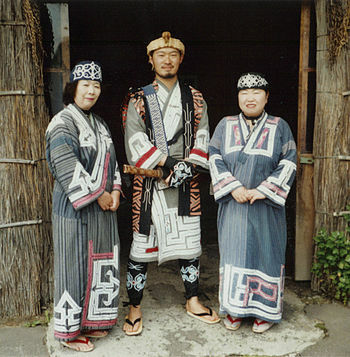 The Ainu minority in Japan is struggling to keep up their identity and culture. The oppression from the government is not anymore but it has driven Ainu minorities towards extinction. After Japan started its internationalization, the slogans like international exchange, cultural exchange, etc., are heard very often. 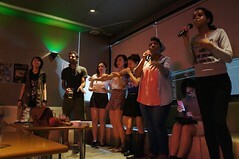 Commentators say that Japan is on the route of becoming a multicultural country. The notion of Japanese multiculturalism is embedded in Japan’s culture, education and society and this excludes minority groups of Japan. In Hokkaido, Ainu museums and cultural centers can be found, but is it to distinguish themselves as different people or to provide a picture of Ainu culture for Japan? It is hard to figure out whether Japan is preserving history or ignorance. Many see Ainu people as part of Japanese people. However, it is hard to distinguish whether government policies are to include or exclude the Ainu people. Behind different policies promoting Ainu culture, there is a continuing story of Ainu discrimination. The consensus by the government shows that there are around 30,000 Ainu people left (Onishi, 2008). However, the exact number of Ainu population in Japan in unknown as Ainu people are excluded from the census. Many argue that this is the result of an exclusion policy by the government. The Ainu language is passed through parents to children without any proper written forms (Aljazeera, 2010). 1974’s Ainu welfare program was introduced to raise the living standards of Ainu, but the Ainu’s living standards have lagged behind those of other Japanese (ibid). Many Ainu people hide their identity because they fear discrimination. Japan is the last developed country which is working towards equality but the process is really slow. 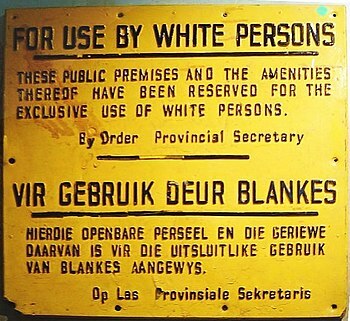 I fear that if such cases of discrimination, exclusion from social welfare, etc. carry on, then Ainu population might extinct from Japan. Okhotsk and Ainu: linguistic connection? Double-talk of the policy: will 200,000 immigrants be superstars for Japanese working women? In the 1980s, as Hobi neighborhood in Aichi prefecture and Icho neighborhood in Yokohama started to accept factory workers from China and Brazil and other countries, Japan pretty much seems to be getting there – opening up the closed door to the immigrating employees and becoming one of the multicultural nations. Certainly, 30 years after the good observation of such areas of immigrants, Abe is aware of the resistance to immigrants. What Japan’s Prime Minister suggested the Lower House Budget Committee has created debates among Japanese citizens to reconsider what Japan is and will be like. Could this be finally a chance for a socially homogenized nation to learn the impact of multicultural immigrants? Well, if you look at the reality of Japanese society, people can tell that acceptance of immigrants can do very little, if any, to help Japan’s current social issues such as declining birthrate (1.35 this year) and working populations, and a higher welfare burden for the younger generation. I personally believe that merely accepting immigrants who look for any form of employment will end up more expensive than what nation can benefit from the labor work immigrants provide. “Accepting domestic helpers and babysitters” should be discussed after developing solid system to support current working parents. For example in the area of medical professionals and construction workers, where the declining number of workers is severe, it is not the occupations that are essentially hard, but it is rather there is not enough social welfare to support overworking people covering up for the lack of population. Without a development in social structure, immigrants may end up being thrown into the society without language skill, or no professional occupation after being a factory worker or a babysitter. Even when immigrants get jobs in the name of training, there is currently no support after they are done with the term, no JSL is provided for them. Therefore, this can easily lead them to unlawful employment and illegal stay afterwards. Whether government targets immigrants who are highly-skilled professionals or low-educated factory laborers, what both need is the same welfare, place to live, language lessons and support for their own family. If they want more professionals from abroad to move into Japan, they are inevitably asked to attract them by leveling up the current treatment that separate foreigners from original citizens in terms of employment, education and welfare. Regarding the acceptance of babysitters and domestic helpers, I think the politicians lack analysis of the Japanese family structure and tendency in putting pressure on women to take care of domestic chores. Having the national policy to internalize the daycare of elderly and house work, and the Japanese nuclear house, all of which are essentially run by women, made women responsible for all family matters and did not allow many wives to go out to work full-time. From this history of family-based nursing and education system, women not only suffer from the physical fatigue, but also the social pressure on them to be the good glue of a well-balanced family. Currently, women who work after getting married and giving birth are increasing, but policies hardly catch up to support them (which is strange, working women is never a new idea before and during WWII, thus society without doubt forced women to stay at home), and now the solution for this is all brought by immigrants nannies and domestic helpers, not a new feminist policy. Thus, solution to the lack of working population and declining birthrate is not as simple as counting immigrants in. What Japan essentially needs is to face the fact that a better policy to support parent to raise children in Japan, development of better welfare for the area of occupation where there are severe lack of professions, rather than begging immigrants for the quick solution to magically boost the labor population. Does immigration make difference to aging population? Although it is stepping back a few weeks, I would like to look at the assimilation of ethnic Chinese in Thailand. I think it is an important case to consider as it generally accepted that Thailand has successfully overcome the difficulties of incorporating the Chinese into the Thai national identity. Balasegaram (2001) writes of how “integration … of the community has been the greatest in Thailand and Philippines”. presented highly influential work concerning the “causal mechanisms” that generate assimilation, but this all still lays on the foundations that Gordon laid out. Some have called for a fresh direction of assimilation, not by completely rejecting Gordon’s initial work, but argue that it is outdated in current circumstances, at least in the United States that is. Moon-Kie Jung (2010) offers that we should move away from “assimilation” and instead give greater attention to the “politics of national belonging”. We have additionally looked at the effects of the assimilated or semi-assimilated, both first and second generation, such as their progression in the educational institutions, the workplace and society’s acceptance at large, including self-identity. From this, I became curious in how assimilation, or attempted assimilation, takes place at the policy-making level. Prof. Moorehead’s link regarding Amy Chua‘s most recent work, The Triple Package: How Three Unlikely Traits Explain the Rise and Fall of Cultural Groups in America (2014), reminded me of a particularly outstanding chapter in her 2003 book, World on Fire: How Exporting Free Market Democracy Breeds Ethnic Hatred and Global Instability, which is titled “Mixing Blood: Assimilation, Globalization, and the Case of Thailand”. Chua notes that Thailand’s population of ethnic Chinese stands at 10% of the Thai population, but the Chinese are practically invisible following years of assimilation. A closer look however reveals that the “ethnic Chinese” in Thailand account for a “wildly disproportionately wealthy, market dominant … minority” (Chua 2004:179). According to Chua, they dominate the largest banks and conglomerates and “all of Thailand’s billionaires are ethnic Chinese”. Yet, there is a distinct lack of resentment. Intermarriage is much higher compared to surrounding countries, such as Indonesia and Malaysia. So how did this come to be? Chua answers this question quite simply; “through decades of coerced assimilation” (p. 180). 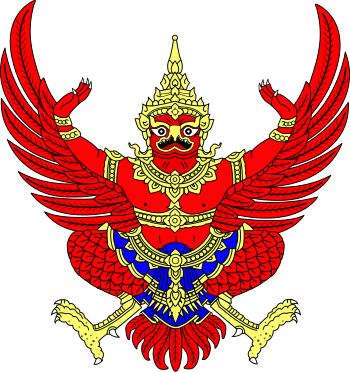 Following immigration from China to Thailand in the 19th century, Thailand began to take a nationalist stance against the Chinese, and it was in fact King Rama VI of Thailand that coined the term “Jews of the East” due to their economic dominance. The Thai government‘s solution to this issue took the form of what we can call “Thai-isation”, through a “systematic and ruthless campaign” (p. 183). Chinese schools in Thailand initially faced severe restrictions, and then were closed down. Chinese books were banned, as were newspapers and social organisations. Thai dress was enforced, Chinese industries were nationalised, remittance of money to China was criminalised and harassment ensued for anyone still showing signs of “Chineseness”. Those with a Chinese surname began changing their names to be more “Thai”, but as one of Chua’s students notes: “You can tell who the Chinese are because they’re the ones with the longest last names. That’s because they felt that had to “out-Thai” the Thai and because the Chinese weren’t allowed to take on a Thai surnames that already existed” (p. 184). These events clearly show a more extreme angle of assimilation from a state-level. The repression of the Chinese in attempt to erase a minority’s dominance has only really made the issue cloudy and obscures a great deal. I wonder now to what level other national governments have gone to in order to try and create a more “harmonious” society. Japan? Britain? Australia? Have they followed routes like Thailand in the past, and do they today present a more politics of belonging approach? Alba, R. and Nee, V. (1997). Rethinking Assimilation Theory for a New Era of Immigration, International Migration Review, Vol. 31, No. 4, pp. 826-874. Balasegaram, M. (2001). ‘Analysis: South-East Asia’s Chinese’, BBC News, 29 August 2001. Retrieved from http://news.bbc.co.uk/2/hi/asia-pacific/1514916.stm on 22 June 2014. Chua, A. (2004). World on Fire: How Exporting Free Market Democracy Breeds Ethnic Hatred and Global Instability. London: Arrow Books. Jung, M, K. (2009). The Racial Unconscious of Assimilation Theory, Du Bois Review, Vol. 6, No. 2, pp. 375-395. Is Thailand’s Coup an Opening for China?